Despite advances in the fight against cancer, the overall mortality from this disease has hardly changed over the last half century. Four innovative strategies are now trying to reduce its scope. Epigenetics open new possibilities of treating cancer by changing the way genes function. This year, in Spain, a team of doctors will begin to intentionally inject a virus into patients. Somewhat later, perhaps in 2015, other doctors in Ireland will try to heal the sick with injections of the harmless bacteria that turns milk into yogurt. By then, U.S. doctors will probably have treated dozens of patients with transplants of “killer cells”. They have not all gone crazy. All these measures are new ways, still experimental, of achieving the same goal: to defeat the toughest cancer without ending the patient’s life. Despite centuries of research into new treatments, cancer remains one of the most difficult diseases to defeat. Current treatments such as radiation and chemotherapy have much elongated the lives of patients and have made some tumors surmountable. However, from a global point of view, cancer is winning the war. For example, the global cancer mortality rate has hardly changed in the last half century and the more common tumors now kill more people than a decade ago, according to data from the health agency of the UN. In addition, there are still types of tumors that are almost immune to current treatments and that attack organs like the brain or pancreas making it very difficult to implement new treatments. To win this war we need new strategies and that is exactly what the doctors and researchers mentioned earlier are looking for. Their new arsenal against tumors is made up of very old weapons. In fact, they are as old as life itself. More than a century ago, some physicians began noticing something unusual in their patients. After having contracted an infection, for example, by the influenza virus or the erysipelas bacteria, some cancer patients experienced inexplicable improvements. The strange cases accumulated and, on occasions, tumors completely disappeared and the patient remained healthy for years or even decades. Various medical teams tried to treat cancer using natural viruses or bacteria, but overall it was a failure and the technique remained a dead-end. Now, 50 years later, a team of Spanish researchers will once again try using viruses to fight cancer. The team will use an adenovirus, whose natural version causes conjunctivitis and cold symptoms. However, this adenovirus is not natural, but rather a version that has been genetically modified to turn it into an oncolytic virus, meaning a virus that does not attack normal cells, only cancerous ones. The virus, called VCN-01, “will begin to be administered to patients with inoperable pancreatic cancer this month,” explains Ramon Alemany, a researcher at the Laboratory of Translational Research at the Catalan Institute of Oncology IDIBELL and one of the leaders of the study. In this first round of trials with humans, the safety of the treatment will mainly be analyzed, although it will also be noted if the pathogen does its job well. “This virus is unprecedented and is much more powerful than the others that have been tested,” says Alemany, who founded the biotechnology company VCN Biosciences as part of the project. The virus is designed to attack the tumor stroma, or “scaffolding” on which the cancer cells are sustained. When this collapses, the tumor cells “fall and die,” Alemany explains. Although it has not yet become a reality as a treatment, the oncolytic virus strategy does look promising. In Spain, for example, there has been at least one case of a child who, ten years after receiving an experimental treatment with these viruses, remains free of the terminal neuroblastoma he suffered from. In China there is already a treatment of this kind in use since 2005, and in the West several are in the final stages of development before reaching the market. The big problem with these types of therapies is that they do not work the same in all patients and it cannot be predicted in which they will have success. This uncertainty about “treating ten patients to cure two”, as summarized by Alemany, makes the cost-benefit ratio of potentially little interest to Western pharmaceutical companies. Alemany says that the only thing that can be done is to keep trying. “With a little luck, in our case the cost-benefit may be worth it,” he says. Some researchers explore the possibility of using harmless bacteria to selectively attack the cancer. This field had been forgotten after repeated failures. The first attempts to treat cancer with bacterial infections date back to the mid-nineteenth century. At that time, a cocktail of dead bacteria achieved extraordinary cures, such as a young boy from the U.S. who went from the brink of death from an abdominal tumor to surviving over 26 years free of cancer. But those treatments were unpredictable, working only in some patients without a clear pattern, and the results were not reproducible, so the strategy was abandoned as the era of radiotherapy and chemotherapy dawned. Other attempts this century have experienced a similar fate, and only recently has some interest in the field reawakened, explains John Mark Tangney, researcher at the Cork Cancer Research Centre in Ireland. “Now our goal is to use bacteria like factories to produce whatever drug inside the tumor,” says the researcher. A few years ago they were trying to fight tumors with harmful bacteria like salmonella, which did not provide the hoped-for results. Nowadays, Tangney says the trend is to use “good bacteria”, such as those used to produce yogurt and other dairy products in the food industry or the bifidobacteria that already inhabit our intestines.” Almost any type of bacteria can live within a tumor,” Tangney points out. The bacteria could attack the most difficult to eradicate tumors. Upon entering the body, these microbes seek areas without oxygen to proliferate. Interestingly, these areas are frequently in the interior of tumors, beyond the blood vessels that keep the cancer alive. Chemotherapy and radiation therapy rarely ever reach so far inside the tumor and thus sometimes those internal areas are hard to kill, leading to the cancer resurfacing after the treatment finishes. The strategy of the bacteria is to target bacterial resistance to these areas. To do this, Tangney says, they use “good bacteria” which are genetically modified to grow in the tumor and generate a particular enzyme. Next, the patient would be administered a prodrug, which is a deactivated drug that does not damage healthy cells. Upon contact with the enzymes produced by bacteria, the drug is activated and selectively kills the tumor. There are already two such clinical trials underway in the U.S. and Tangney says he plans to start another in 2015. “One of my goals is to promote the concept of good bacteria, because many of them are definitely beneficial for us,” he observes. In December 2012, the case of Emily Whitehead shocked the world. According to doctors, this six-year-old girl was suffering from intractable acute leukemia. Currently, Emily is alive and is still not showing any signs of cancer a year after having undergone an experimental treatment. 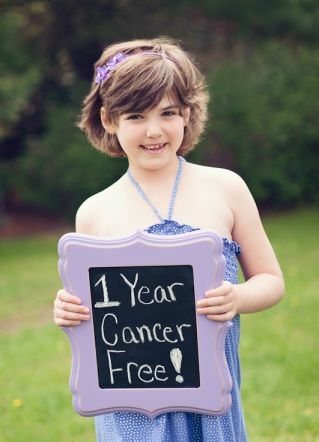 She is living proof that the immune system can be taught to fight tumors. In general, cancer cells are like those spy planes that are not detected by radar. They do this by producing proteins that deactivate the attack of our defenses and allow the tumor to grow without threats. Whitehead suffered from acute lymphocytic leukemia and was included in a clinical trial focused on adult patients with chronic leukemia after having suffered several relapses following conventional treatments. In all cases the procedure was the same. First, millions of T cells were extracted from the patient. These are the “best warriors” in our defenses, in the words of Alemany. Researchers then used a deactivated derivative of the AIDS virus in order to introduce a genetic modification into the cells allowing them to identify and attack tumor cells. Then they reintroduced the cells into the patient and waited for them to act. At the moment, in 9 of the 12 patients who received the treatment, the cancer is still in remission two years later. The intervention is still in its earliest testing stages and it is too early to know whether it will be viable, although in some cases it has already shown results impossible to achieve with conventional treatments. “This strategy is believed to have less toxicity and also it means that if the tumor comes back, the patient’s own body is able to recognize it and deal with it. Here is the future,” says Marta Alonso, researcher at the Center for Applied Medical Research (CIMA), University of Navarra Clinic, which studies the use of viruses to treat adults and children with other tumors with worse prognosis: brain glioblastoma. 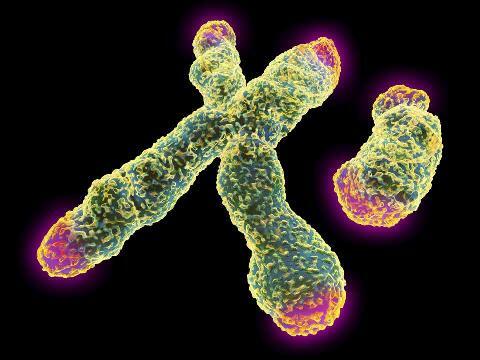 Another of the more innovative ways to attack cancer is with epigenetics. This term refers to chemical changes that are on the genes and that function as switches, turning them on or off. Many of these changes are key to the proper functioning of the body, but others are defective and can cause various diseases, including cancer. “At the moment there are already five epigenetic cancer drugs on the market,” says Manel Esteller, one of the leading experts in cancer epigenetics in Spain working at the Institute of Biomedical Research of Bellvitge. Some of these drugs target cancers for which until now there were only palliative treatments. In the near future, the genetics of each patient will also be used to predict drug responses and to administer the most appropriate ones.